Paulina Oleinik, a senior in Penn State's College of Agricultural Sciences, is one of the live-in employees at the Penn State Horse Barn. Photo credit: Penn State. 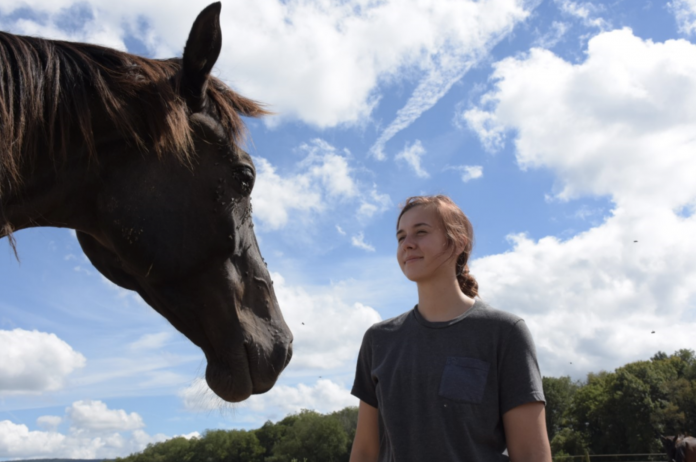 UNIVERSITY PARK, Pa. — When Paulina Oleinik, a senior in Penn State’s College of Agricultural Sciences, started her college career at the University’s Altoona campus, she had no idea that one day she would call a horse barn her home. Oleinik said she has gained invaluable experience from this job. From working hands-on with young horses, to giving treatments to sick animals, to helping with the collection of stallions and insemination of mares — every day at the barn offers a new lesson. 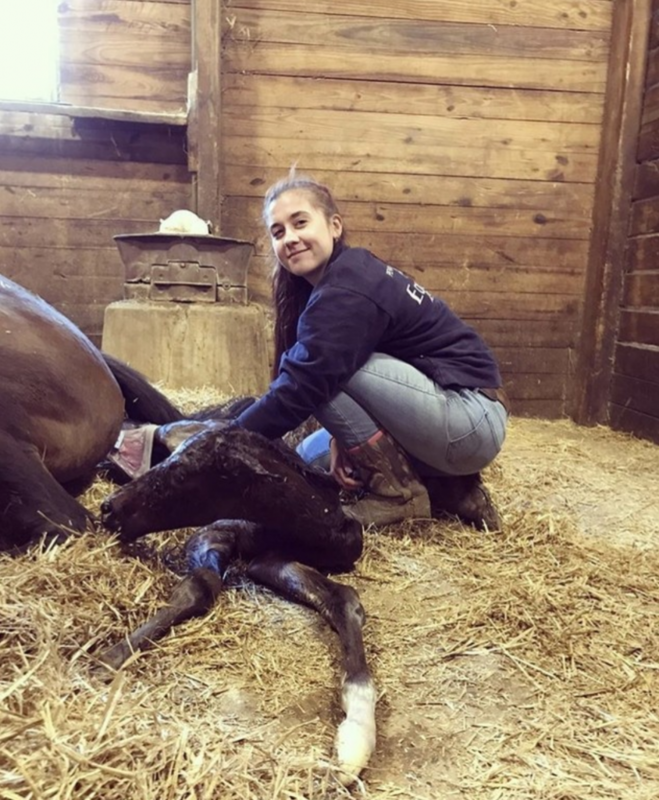 Every day at the Penn State Horse Barn offers a new lesson for animal sciences senior Paulina Oleinik, shown with a newborn foal. Photo credit: Penn State. Her interest in international agriculture has been fostered by her study-abroad experiences. She participated in a 10-day trip to Paris as part of a course titled, “Comparing Agricultural and Food Systems in the U.S. and France.” The students toured locations such as Champagne vineyards, an agricultural high school, the Rungis International Market, the King’s Kitchen Gardens in Versailles, the French National Institute for Agricultural Research and an Organic Farm Share Program. 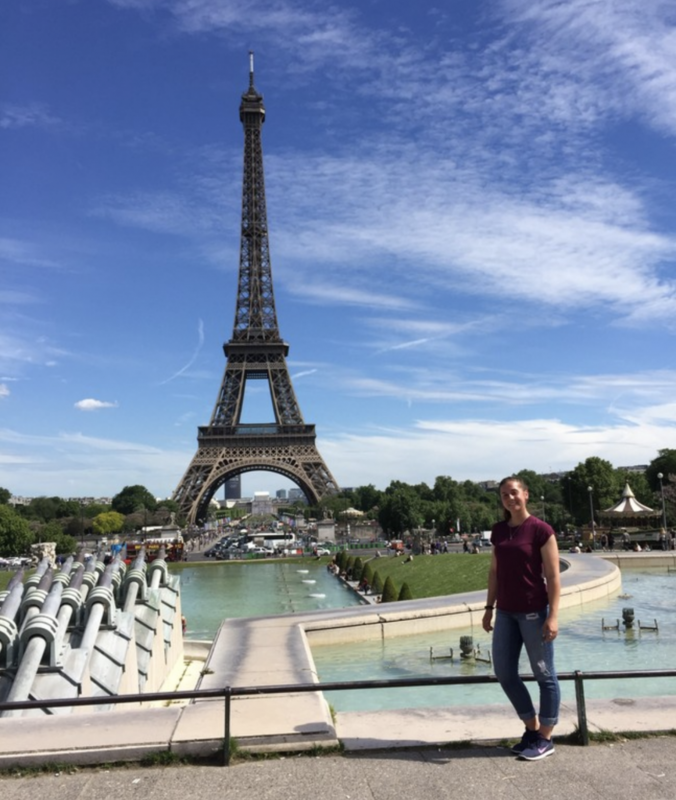 Paulina Oleinik’s interest in international agriculture has been fostered by her study abroad experiences, including a 10-day trip to Paris as part of a course titled, “Comparing Agricultural and Food Systems in the U.S. and France.” Photo credit: Penn State.